Jessie J’s height is 5′ 9″ (1.75 m). Her date of birth is 27 March 1988. She attended Mayfield High School and Colins Performing Arts. Jessie J is a singer and songwriter. Jessie J and Luke James started dating in November 2014. James is an American singer from NO. His height is 5′ 10½” (1.79 m). Kenny Hamilton – RUMOR 2012. She has tattoos on her body and ear piercings. One of her tattoos say “Stand Up” with the image of an heart. Her natural hair color seem to be a dark brown, but she dyes it black. She has even shaved her head bald on occasions. Her first album was released in 2011 entitled “Who You Are”. 1. Jessica Ellen Cornish aka Jessie J was born and raised in London. She is well know for her writing skills as much as singing. 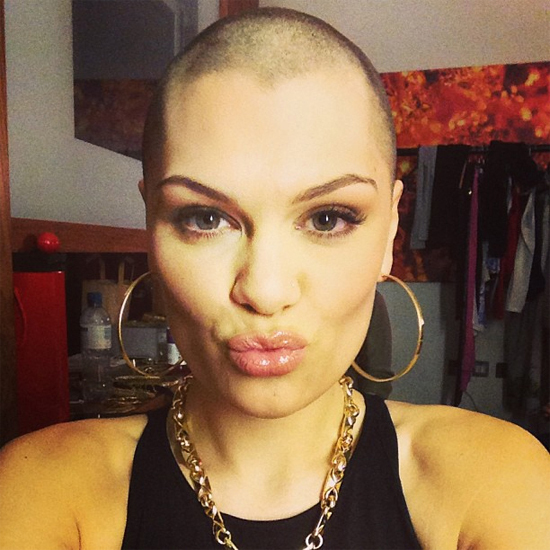 Jessie has written for popular stars like Chris Brown, Lisa Lowes and Miley Cyrus. 2. She attended Colin’s Performing Arts School. 3. Jessie J has two old sisters, Hannah and Rachel Cornish. 4. At 16 years old she attended BRIT School (The BRIT School for Performing Arts and Technology), which provides education and vocational training for the performing arts, media, art and design and the technologies. Adele and Leona Lewis also attended this school. 5. She loves soccer and is a Tottenham Hotspur F.C fan. 6. Jessie decided to move from London to the Hollywood city and state, Los Angeles, California. 7. Her voice was featured as “Brooke” in the popular movie Ice Age. Learn more about her from her website .